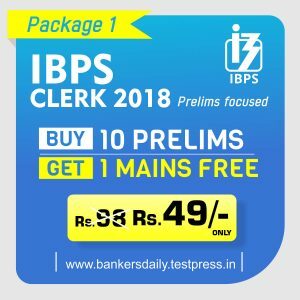 IBPS CLERK Prelims Exam – 2018 – Study Planner. English is one of the sections which haunts the aspirants because many aspirants chances to go to the next level in the Banking Exams are hindered due to this section. According to recent statistics, only 30% of the aspirants score above 10 marks in the Preliminary Examination in English Section and many aspirants struggle to get the required cutoff marks. We have already provided 8 days of English Language Quizzes in our Bankersdaily website to enhance the preparation of the aspirants. Attend the Quizzes daily without any fail to score more marks in the IBPS CLERK Prelims Exam 2018. We have only less number of days to finalize the preparation strategy to crack the Preliminary Examinations. After the SBI PO, SBI CLERK & IBPS PO Exams IBPS Clerk will be the most expected one to crack the banking job for many aspirants. Since IBPS has also changed the exam pattern similar to SBI, we are providing practice sets on the basis of IBPS CLERK 15 Days Study Planner. Students are advised to practice the questions regularly and crack the IBPS Clerk 2018 which will be held shortly. Since this will be the dream job for most of the aspirant’s everyone should work hard and act smart to achieve their own destination. 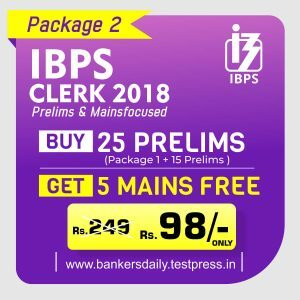 We at Bankersdaily will be providing daily questions for the IBPS CLERK Prelims Exam 2018 through this IBPS CLERK Prelims 2018 – Study Planner to assist the aspirants in their preparation. All the Three sections Quants, Reasoning and English Langauge questions will be available regularly in Bankersdaily. D.1-10) Read the following passage and answer the questions given below. e) Security : secured or unsecured deal? Q.2) What is the author’s opinion,according to the passage? a) The author says that Britain should reconsider brexit due to the security threat. b) The author condemns the selfish politicians who trade people’s security over political gains. d) The author says people’s security is too mammoth an issue to take it in a lighter vein. Q.3) Which among the following statements is/are not mentioned in the passage? i) In this field of internal security, it is particularly hard to speak about what will no longer be possible. ii) It is unprecedented for a UK intelligence chief, especially one from GCHQ who until recently was seldom seen or heard in public, to intervene in a diplomatic negotiation in such a way. iv) “We’ve worked with our European colleagues to share understanding of how to protect our democratic elections. Q.4) Which among the following statements is/are not false? i) Theresa May has proposed an internal security treaty to protect the EU and the UK. ii) Barnier placed security on the table at the start of Brexit negotiations in May last year. iii) Fleming repeated his claim that some in the UK were seeking to blame the EU for the British government’s choices. iv) Uk will be a third country outside Schengen and outside the EU’s legal order. Q.5) Which among the following is/are not true? i) Fleming’s intervention may not reflect dismay that EU chiefs such as Barnier have opted to turn it into one. ii)Barnier outlined some areas of future cooperation, including information exchange and involvement in Interpol analytical exercises on live cases. iii) Fleming held discussions with the Nato secretary general, Jens Stoltenberg, the British European commissioner, Sir Julian King, and 29 ambassadors to Nato. iv) Barnier insisted the status quo could outlive the UK’s membership of the EU. Q.6) Britain helped which among the following countries related to terror operations? Q.7) Which among the following factors nourish the platform of trust? Q.8) Why does Jeremy point out the help of the UK in the passage? Q.9) Why does Barnier loathe giving Britain the access to the EU’s security databases? Q.10) Which among the following statements bolster Barnier’s decision of keeping Britain at bay? a) The debate is over the UK’s continued access to specific European institutional intelligence-sharing, much of it police-related. b) He warned that after the UK left the union it would not be involved in the European arrest warrant or the decision-making boards of Europol, or have access to EU databases. c) If the UK was no longer held accountable by EU institutions, including the European court of justice, it could not benefit from the bloc’s security arrangements. Refer to “This trust is founded on an ‘ecosystem’ based on common rules and safeguards, shared decisions, joint supervision and implementation and a common court of justice. 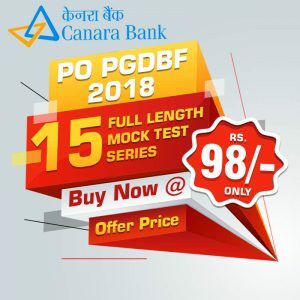 Aspirants can check the Whole planner of IBPS CLERK Prelims Exam 2018 from the below-given link.